Leading Manufacturer of buck boost transformer from Ghaziabad. We are a leading market firm involved in the manufacture as well as the supply of the best quality of Buck Boost Transformer. These are manufactured using the best quality of raw materials in compliance with the existing industrial standards of quality. 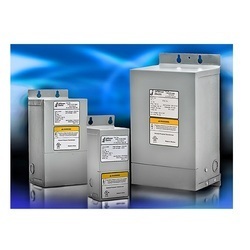 These transformers are available to clients in multiple specifications at leading market prices. We make these available to clients after the stringent quality assessment of professional auditors. Easy to install and maintain, these are known for their efficient service life.